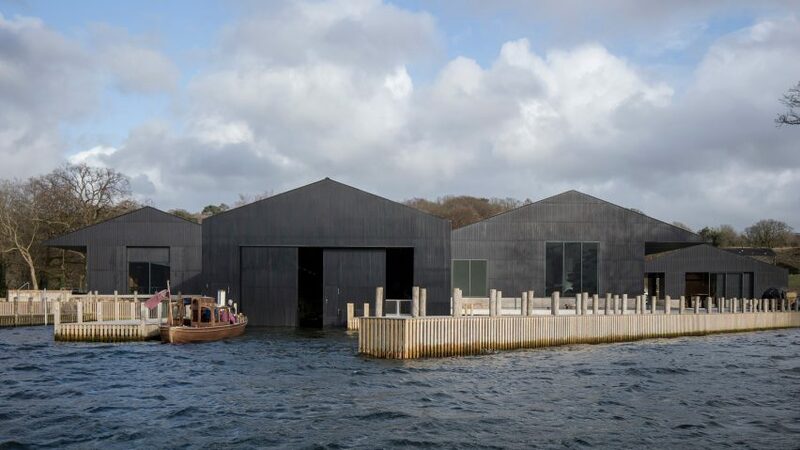 Carmody Groarke has completed the Windermere Jetty museum in England's Lake District, which houses a collection of boats in a lake-side cluster of copper-clad buildings. 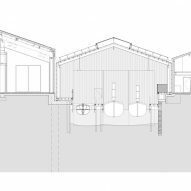 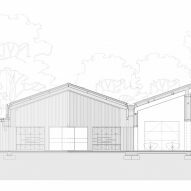 The architecture studio was keen to retain some of the site's working background when developing a proposal for a facility, which also includes areas dedicated to the conservation of the boats. 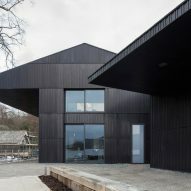 "Working closely with Lakeland Arts and museum stakeholders, we wanted to create a museum whose design would make a connection between people, boats and water, and which would also reinterpret the site's industrial and picturesque heritage," explained Andy Groarke. 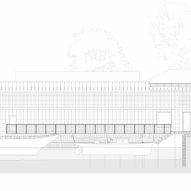 "Our ambition is that the new museum will frame vivid experiences of the unique collection, the beautiful ecology and the natural landscape of its setting." 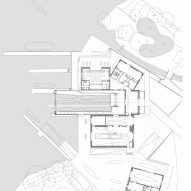 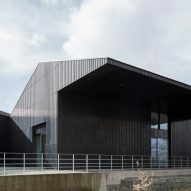 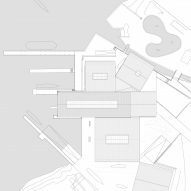 The museum's architecture is influenced by its setting and by local vernacular architecture, with the configuration of the compact buildings promoting a strong topographical relationship with the lakeside site. 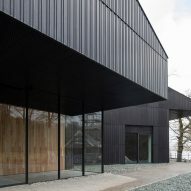 "The building forms are somehow familiar, but made special by the overhanging canopies which extend the inside spaces of the building with all-weather shelter into the landscape," the studio added. 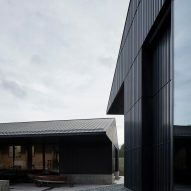 Oversized eaves that extend from one side of some the structures shelter display areas and welcoming porches, while the conservation workshop's eaves protect an exterior workspace. 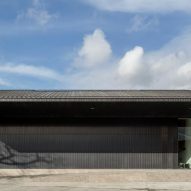 The building's main exhibition space features whitewashed walls that make the most of natural daylight entering through the windows and large skylights. 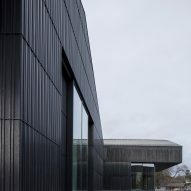 Carmody Groarke's previous cultural projects include the creation of a members' room at the Victoria & Albert Museum featuring mirrors that reflect views of spaces inside and outside the building, as well as plans for an art gallery on the site of the brutalist Park Hill housing scheme in Sheffield.